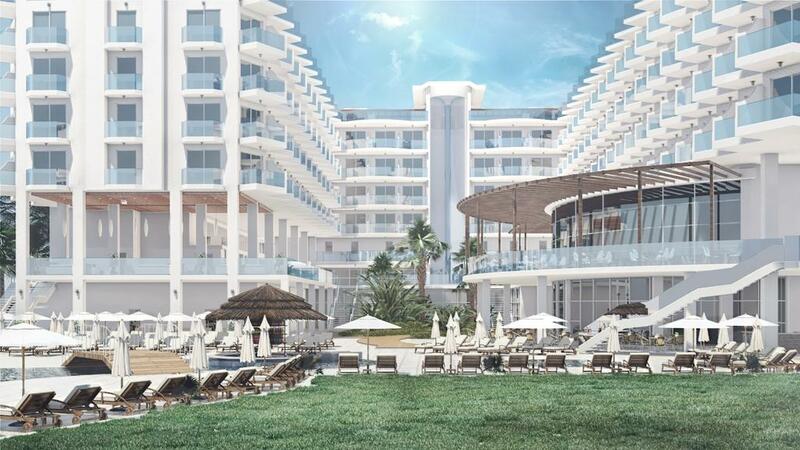 Nissi Blu is a brand new hotel in Ayia Napa and opens in 2019. Located at the side of the famous Nissi Beach, this large resort style hotel has changed the Nissi Bay area skyline. Featuring a range of facilities expected of a 5* hotel including pools, restaurants and other amenities, the Nissi Blu offers a great luxury hotel option in Ayia Napa if you're looking for a sleek, modern and well furnished places to stay.